There isn't a bad seat in the house at the Coleman Theatre in Miami. If country flair isn’t your thing, indulge in some big-city culture at the Circle Cinema in Tulsa. This historic cinema house—the last of its kind in Tulsa—specializes in foreign, documentary and independent films that offer patrons a taste of something outside the mainstream. The Circle Cinema also features locally-produced and directed films, along with special events and festivals like the Tulsa Overground Film Festival and the Oklahoma Jewish Film Festival. Come catch one-of-a-kind screenings, stimulating artist talks and community events at this vibrant and unique theater in north Tulsa. For big movies with a small-town feel, head 45 miles northeast of Tulsa to the friendly city of Pryor. 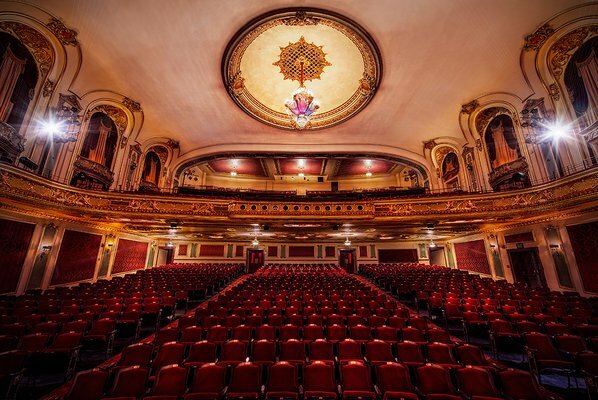 Here you’ll find the historic Allred Theatre, which was originally opened in 1916 as Lyric Theatre. It is one of the only theaters in Oklahoma that has been showing films continually for over a decade. Head into this Art Deco masterpiece for state-of-the-art films in HD and 3D.